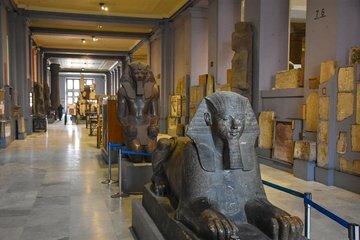 The Egyptian Museum is packed with standout relics spanning over 5,000 years, but knowing just want to see takes insider knowledge. Make the most of your visit on this half-day, Egyptologist-led tour, which includes door-to-door transfers from your hotel in an air-air-conditioned coach. Get a peek at the famous collections of King Tutankhamen, including six gilded coffins. Upgrade for admission to the Royal Mummies Room.